ImageManager 7.0 is now integrated into the Axcient BDR for ShadowProtect cloud. 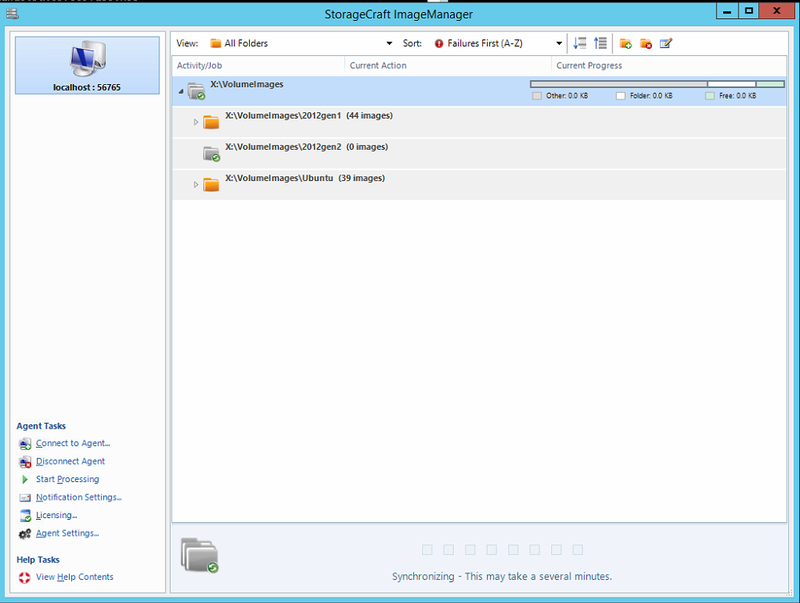 This allows you to configure a single ImageManager 7.x managed folder (containing multiple subfolders) as a “Backup Store.” The policy settings in the Backup Store apply to all of the subfolders within it, and all new sub folders are by default automatically managed, inheriting the settings of the Backup Store. 1. Right click in the main IM pane to start managing, or click the yellow folder with the green plus, in the top right corner. 2. 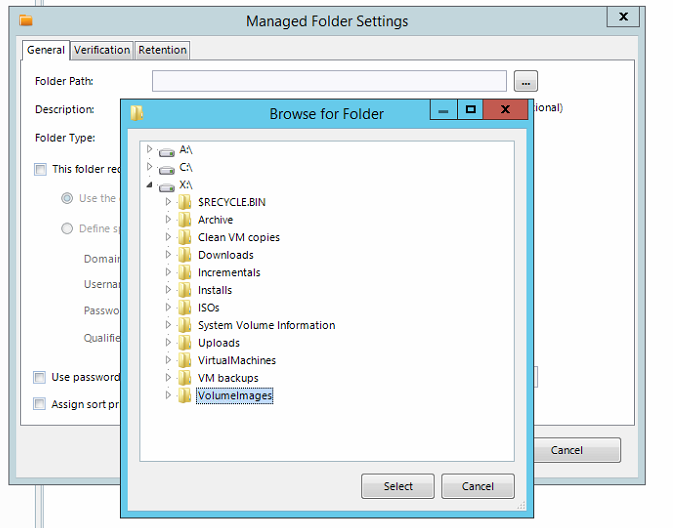 Navigate the folder path to the folder you wish to manage and click Select. The Backup Store is the parent folder and all subfolders will automatically be managed. The global retention settings you have specified are applied automatically to all subfolders in this backup store.